It’s another achievement for the Trump administration as overall enrollment in the country’s food stamp program has dropped to its lowest level in more than eight years. The good development is being attributed to an improved and healthier economy as well as the current government’s attempts to tackle fraud in the program. Latest statistics from the U.S. Department of Agriculture, which administers the Supplemental Nutrition Assistance Program (SNAP), reveal that enrollment in the program dropped in March to 40,083,954. Formerly known as the Food Stamps Program, SNAP is a federal program that provides grocery assistance for people out of work or those struggling with low incomes living in the country. Individuals must make 130 percent or less of the federal poverty level based on the household size to qualify for the program. The program is meant to buy the essentials like bread, vegetables, dairy products, and meats. The program prohibits them from buying vices like beverages, tobacco products as well as non-essentials like household supplies and paper products, among others. A USDA official who requested anonymity told Fox News: “As the economy continues to improve, participation in the Supplemental Nutrition Assistance Program (SNAP) is declining. SNAP was established as a temporary supplemental nutrition benefit guiding people to self-sufficiency and self-reliance, not a permanent way of life." The same official also shared that much like jobless numbers, the number of enrollees in SNAP tends to fluctuate month by month. The agency expects, however, that about 8.8 million to leave the program in the next 10 years. Observers give much of the credit for the biggest drop in said enrollment to President Trump and his emphasis on getting more Americans back to work and in invigorating the economy. 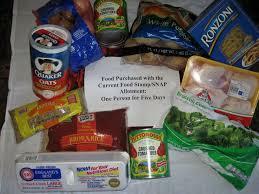 There’s also the administration’s crackdown on fraud in the SNAP program as the reason why the decline has sped up. More than 2.2 million have discontinued their participation in the SNAP program under Trump’s presidency in large part due to his administration’s moves to reform SNAP. Trump proposed a 30 percent, or $214 billion, cut to SNAP as part of the White House's federal budget proposal in February. Trump also signed an executive order aiming to harden up work requirements for welfare and public assistance programs in April. The order calls for agencies to strengthen work requirements and to look for new ones. In compliance with Trump’s order, the House Agriculture Committee voted to tighten the already existing work requirements for the Supplemental Nutrition Assistance Program (SNAP), while expanding funding for state training programs. The legislation passed Wednesday by the committee would require all “work capable adults” between the age of 18 and 59 to work or participate in work training for 20 hours per week. The USDA in March also announced that it had hired an “integrity officer” who would monitor any instances of fraud in the SNAP program. Trump promised to tighten down on and eliminate Welfare cheaters .